Owing to our rich industry experience and knowledge, we are engaged in providing Container Sale and Hire Service. We buy and sell boxes in various region including Indian Subcontinent, Middle East and South East Asia. 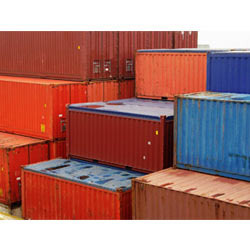 Shipping container sale and hire service is generally not a complicated business. So what helps you choose us as your supplier. We believe it is our reputation for supplying high quality goods at a competitive price, a reliable service and our integrity. We undertake to fulfill your requirements swiftly and economically.